Keep up with the latest regulations and incentives. Water heaters consume a great deal of energy – in fact, one water heater requires more energy than all of the other appliances in your home, combined. Behind the heating and cooling of your home, the water heater accounts for approximately 18% of your home’s energy usage, according to the U.S. Dept. of Energy. Water heaters typically last between 8-12 years, but even if your water heater is still running at this age, there are other issues to consider, such as efficiency. Let’s get something out of the way: almost any sites that give tips for running your water heater more efficiently will include, among other tips, installing “low flow” faucets and shower heads in the home, but the energy savings is minimal and, if you’re anything like me, I enjoy a strong shower and don’t want to compromise on it. Therefore, you will not find this tip here. To assess how efficient your water heater is, regardless of age, a water heater service specialist has the skills to determine where the unit may be losing energy. Water heaters are often installed without efficiency in mind, which can lead to a great deal of lost money in energy bills over the years. Inadequate insulation. Sometimes the goal of installation is simply to get the water heater up and running as soon as possible, leaving the unit under-protected. Again, a water heater specialist will be able to wrap the unit in the most professional and efficient manner. Keep in mind that there are key areas on the water heater that should not be wrapped. Heat traps. Unless your water heater is a very recent model, it is possible that heat traps have not been installed on the hot and cold pipes; this can lead to a great deal of energy being lost consistently. The Dept. of Energy also states that a quart of water should be drained from the unit every 3 months to remove sediment, which also has a direct effect on efficiency. There are many safety protocols involved in performing this simple-sounding task, however, so either take the necessary steps to avoid electrocution and scalding, or better yet, hire a trusted water heater service professional to take care of all your maintenance needs. Less than a year ago, new standards in water heater design were implemented, meaning that if you purchased a new unit after April 15th, 2015, your water heater is more efficient, safer, and more reliable. Certainly, if your water heater is only a few years old, you may want to wait a few more years before upgrading, but for those with older units than knock and gurgle to life each day, a new water heater can start paying for itself with savings in energy consumption. The Dept. of Energy recommends water heater replacement after 7 years of use. Note: When shopping for a new water heater, there are a few things to keep in mind – while they are certainly more efficient than older models, they are also, on average, a couple of inches taller and wider, thus the storage space for your current water heater must be able to accommodate a larger unit. 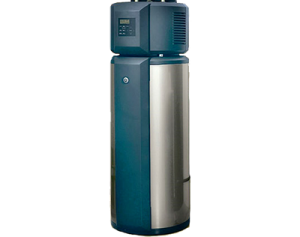 We encourage you to do thorough research on your choice of commercial water heater service and sales, because we are confident that there is no better company qualified in Southwest Washington than Entek HVAC. Whether you are looking to invest in a new water heater or wish to have an older unit professionally maintained, Entek is the most trusted name in their field. All other inquiries will be answered during business hours. Copyright 1998-2019. All rights reserved ENTEK Corporation. Sitemap.